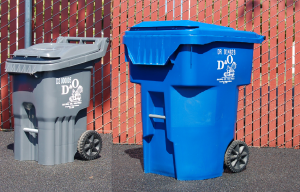 Rural Garbage Service & Recycle Pickup | D&O Garbage Service, Inc.
Includes a weekly 20 gallon automated roll cart for garbage, along with bi-weekly pick up of a 95 gallon mixed recycling cart. 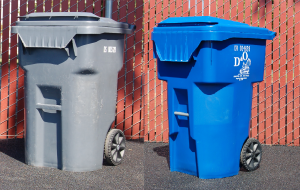 Includes a weekly 35 gallon automated roll cart for garbage, along with bi-weekly pick up of a 95 gallon mixed recycling cart. Includes a weekly 65 gallon automated roll cart for garbage, along with bi-weekly pick up of a 95 gallon mixed recycling cart. 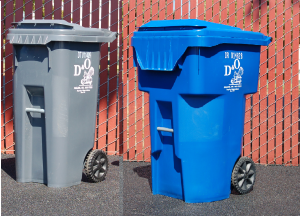 Includes a 95 gallon automated roll cart for garbage, along with bi-weekly pick up of a 95 gallon mixed recycling cart.